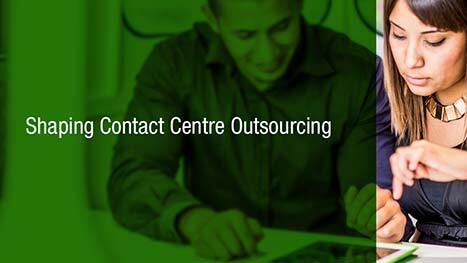 Are you aware of the future trends in contact centre outsourcing? Companies are aware that poor customer service can cause damage to the reputation of any business, and with this in mind, every company wants to keep up with the latest trends to deliver excellent customer service. In the world of contact centre outsourcing, several factors will shape future trends including technology and economics, according to an Office Beacon article. Here are five trends that will have the greatest impact on how contact centre outsourcing firms will handle contact centres. In the course of the last two decades, we’ve come a long way from locally hosted software applications to the very large world of cloud-based apps in existence today. There is no area of business that has not been affected by the cloud. The way your company runs its daily operations will increasingly rely on technologies you access over the internet. Web-based contact centre apps that accommodate everything from your phone system to CRMs capturing customer engagement to order taking is gradually becoming the new norm. Ease of implementation, increased scalability and the adoption of new features and versions are some of the many advantages to this. The majority of cloud-based systems also include support in the forms of chat, a knowledge base, and FAQs merged into the system itself. For many companies, cloud solutions are the best option. The new challenges that come with these newly adopted technologies is that services which require the internet can create potential security issues. It’s important that you and your vendors keep hackers and cyber criminals away from your customer data. If you rely on customer management outsourcing ensure you understand the measures taken by your partner vendors. While there was a period where the phone stood out as the primary technology communication tool, those days may soon be over. Omni-Channel Customer Experience is taking over in customer service. Simply put this is the experience your customer has on all platforms of your business. Although customer service does influence the overall CX (customer experience), it is only one element of what makes up the whole experience, according to Uxpert Labs. The 2017 CX Benchmarking Report highlights that today customers look for ease of use, resolution convenience and consistent experiences. Companies need to understand the input/output of each channel and monitor interactions by identifying priorities and exceptions. To guarantee that your company gives customers a positive CX, you should engage customers in experiences that appeal to their senses and make products and services easy to understand and engage in, according to Uxpert Labs. Every communication channel is covered in the omni-channel customer experience, however, the benchmarking report also highlights that the top 5 channel focus areas include virtual assistant (chatbots), proactive automation, web chat, IoT, and video chat which we further expand on. The benchmarking report further highlights that while only 37.1% of CX operations have a solution that’s fully connected at present, looking ahead, the future focus is clearly on building up solutions capable of linking together all the channels offered. Video chat communication is considered the best channel for face-to-face and in-person interaction. For your business and contact centre, this implies that there is a huge opportunity to engage customers on these and other video-based tools. Ensure that this is highlighted and that top tools are part of your contact centre strategy. Some interesting stats you may want to consider show that as of September 2016 Skype had no less than 74 million worldwide users, according to the Office Beacon report. A customer who has expressed their unhappiness with your service on social media can turn into the trending hashtag, and into the main story on a newspaper the very same day. There is no running away from social media and its impact in today’s world. In one J.D. Power survey of more than 23 000 online consumers, 67% of respondents indicated that they had contacted a company via social media for support. This is why you can’t leave out social media engagement in your customer service and communication mix. It’s important to define response times, staff ownership, and processes for dealing with brand mentions, messages directly to you, and hashtags. While you can pay attention to the simple issues at a later stage, if a crisis does arise you should be quick to respond and with all the facts. This way you can ensure it does not develop into a massive problem for PR. The systems a contact centre uses now capture the data that used to be a challenge to record and track. To enhance your contact centre’s performance it’s critical to record, analyze, and optimize your operations based on comments and the feedback your systems provide. This should be done in primary areas including customer surveys/feedback, pipelines and sales, and call data. Make sure all teams understand contact centre goals and objectives. If your data shows that you’re missing the goal, find out why and do further assessments. Use these insights to better performance and achieve your goals and objectives. While contact centres can expect to face more challenges in the future, it is a very promising industry. Different forces will impact the decisions made and the overall direction of an organization. Regardless of potential issues, technology presents ways to improve efficiency, enhance effectiveness, and increase your profits. Whether you keep your operations in-house or decide to outsource to a trusted firm such as Merchants, all of this can be achieved if recommendations and guidelines are implemented.